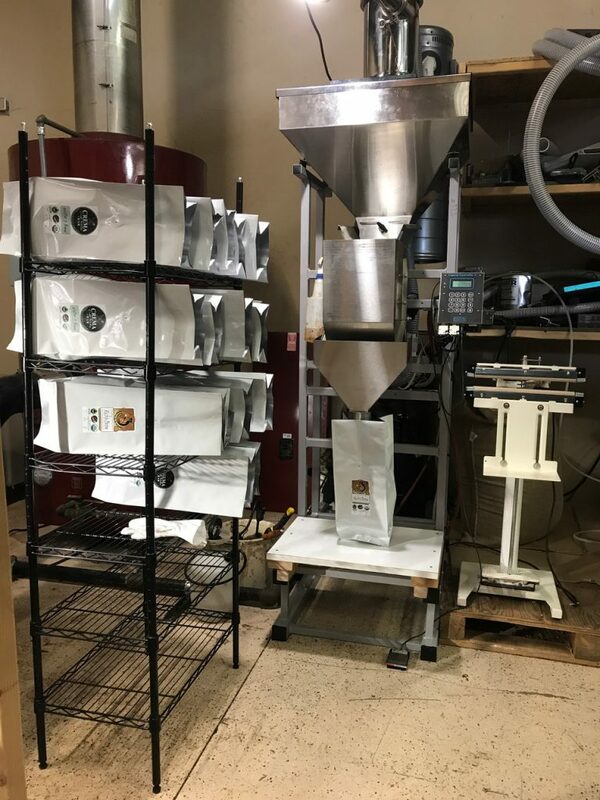 We feature testimonials from companies that own a Logical Scale System and offer to be Reference Owners—allowing interested businesses the opportunity to check out their setup in their shop. If you're interested in becoming a Reference Owner, please call Heather at (802) 425-2888. J & W Farm's Model S-4 Table Top (TT) in place in their packaging area - "It's all about the cider!" "We put the filling machine in production this afternoon. I learned how to set up each job and, once I figured it out, it worked super. We finished the job in record time. A great piece of equipment. We're glad we purchased it. Our company partner/co-owner/wife is excited that we've cut our packaging time by at least 75% and she's looking forward to using it." If you're interested in contacting John & Wendy, please visit the J & W Farm website. They'll be happy to show you how well the S-4 TT fits into their small business! 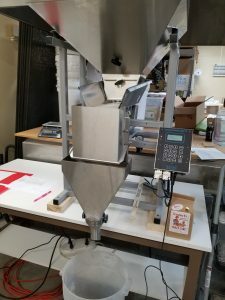 "I hadn’t realized how much of a distraction filling bags had been until I had the new system up and running. Being able to switch between three bag sizes at the push of a button has been a real bonus. The S-4 can handle many more bag sizes if I need something beyond 1, 2, or 5# pounds. By the time I finish sealing and placing the bag on a shelf the next 5-pound bag is just finishing being filled. If you're interested in contacting Richard, please visit the Prescott Coffee Roasters website. He'd be happy to show you how well the S-4 fits into his small business! "We use it every day -- a real workhorse!" "Works like a Swiss watch." "Trouble free for 10 years"
"I just want to say thank you for producing such a great machine! The S4 has improved our efficiency probably 500%. We went from a cobbled up machine we built in house to this unit, and now we don't have to worry about it breaking down in critical production times. The price is very reasonable for what you get. I had a little sticker shock until I researched what is out there on the market. Your machine is worth every penny. We soon will be purchasing another with the confidence that we can take on more customers and fulfill their orders in a timely manner." "Our S-4 has been incredible and absolutely trouble-free for 10 years. We've run hundreds of thousands of pounds of coffee through it." "Best money I have spent in my life." "We have three S-4s, two running 8 hours a day." "Best piece of machinery that we have in the plant." "The machine is fantastic--very quiet."